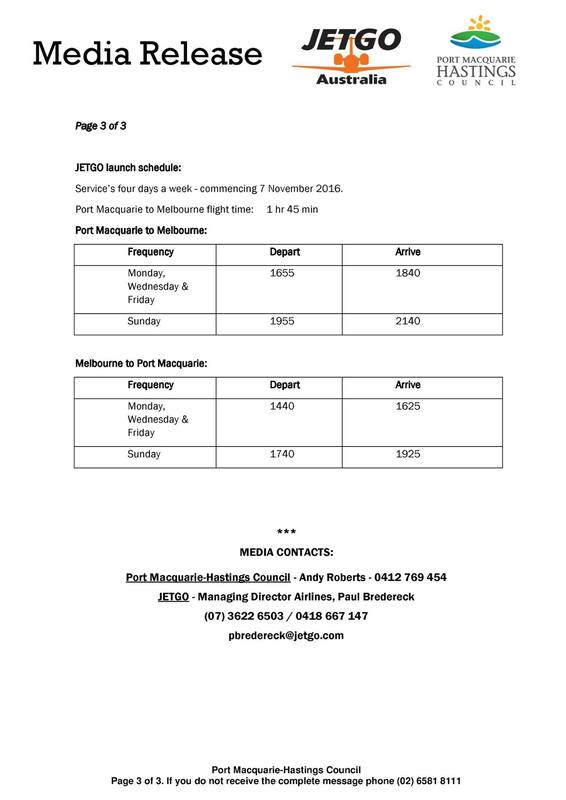 Jetgo is an Australian regional airline operating revenue flights, flying FIFO workers and can also operate charters. The regional airline have a fleet of only 3 ERJ-135’s fitted in a 1 class configuration with 36 seats. They operate to 8 different locations within Australia. 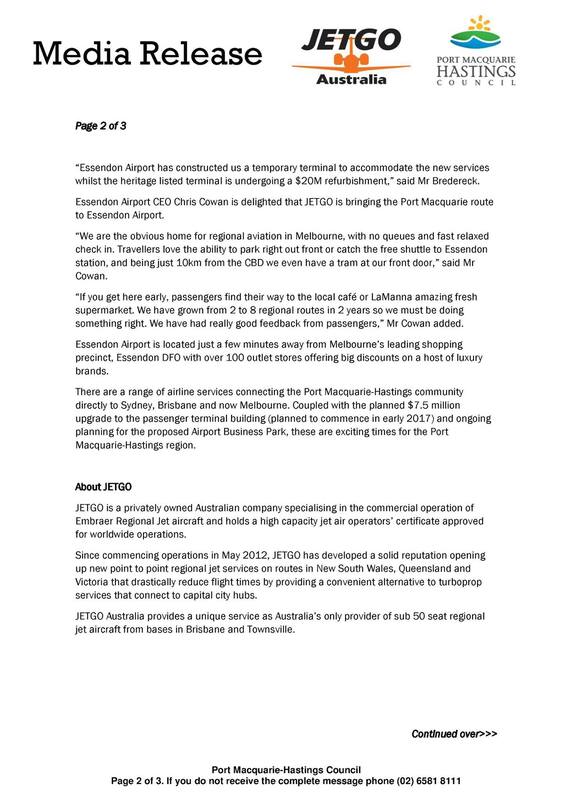 Today Jetgo has announced the expansion of their services adding a Port Macquarie to Essendon flight. The media release is below. 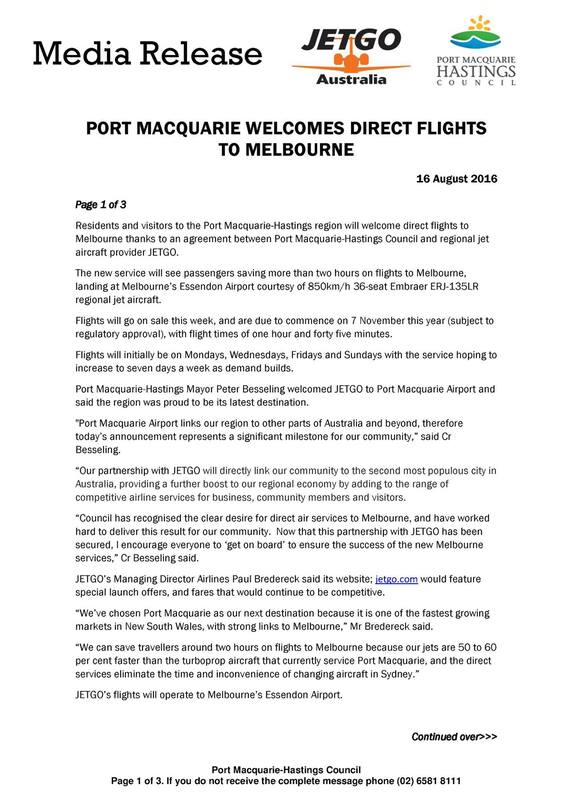 It’s great to see the regional airline increase services within Australia. The airline operates very well for the regions that it covers. I have yet to fly them but would love to see what the service is like.